Albert Whitman & Company, 9780807511305, 32pp. Summertime means fresh veggies at the farm stand to pick out and count! 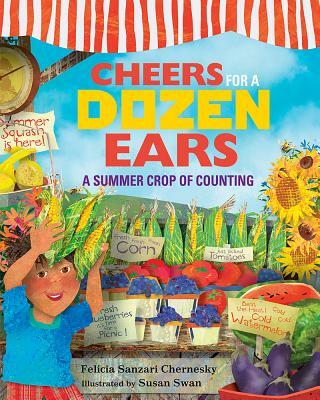 This concept book follows a family's stop at the farm stand as they count tomatoes, strawberries, sunflowers—and yes, ears of corn. Felicia Sanzari Chernesky's simple verses are beautifully accompanied by Susan Swan's collage art.